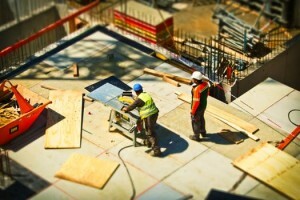 While the terms construction management and construction manager (CM) encompass a broad range of potential services and roles within the project delivery process, the ways in which a CM defines and carries out services can have far-reaching consequences with respect to the CM’s potential liability and professional liability insurance coverage. The term CM can describe a general contractor who engages various trade contractors or subcontractors and also provides “front end” services such as constructability review of design documents, value analysis, cost estimation, and scheduling. This form of construction management is commonly referred to as at-risk CM. A second form of construction management involves the performance of purely professional or advisory services as representative and agent of the client. This role is commonly referred to as agency CM, and it is the role more commonly taken on by design professionals as opposed to the at-risk CM role, which is more frequently taken on by general contractors. with a payment of $800,000 under the professional liability policy and $500,000 under the general liability policy. The general liability policy also reimbursed the professional liability policy $653,000 for expenses. was not a primary target of the lawsuit, the costs to defend were high, and the plaintiff made a sympathetic witness. The plaintiff agreed to settle with the CM and the contractors and then pursue the lumber company and the sawmill. The CM contributed $200,000 to a $615,000 settlement; expenses were $68,000. $455,000 and paid $53,000 in expenses. the city known the true amount of soil that had to be removed, it would have made other, less expensive, choices. until just prior to trial. The CM paid $157,000 in indemnity in addition to over $300,000 in expenses. nonperformance of the general contractor. The request was denied, and the electrical subcontractor left the project. unpaid fees, causing the school district to counterclaim against him and the surety. which included a $100,000 contribution from the CM. The CM also paid $155,000 in expenses. only the client, as distinct from third parties, a duty on schedule and cost issues. For further information on managing the risks of CM claims please visit Schinnerer here.